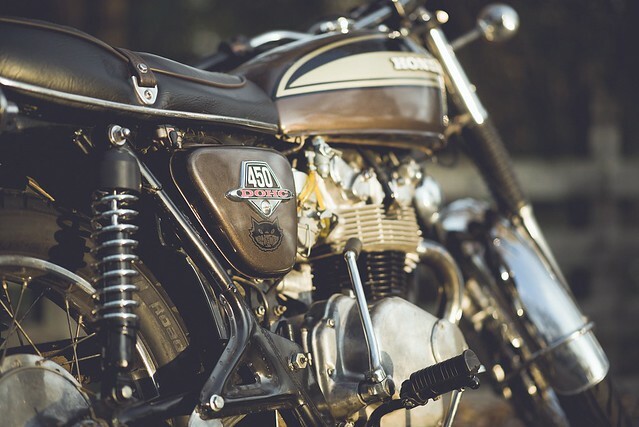 We are absolutely thrilled to see my 1974 Honda CB450 K7 Supersport featured on what is arguably the most prolific custom motorcycle blog on the web. A huge thanks to Chris and the crew at BikeEXIF for considering our little Honda for their site. However, equally big thanks and kudos go to Juan F. Hernandez for taking such great photos of Adeline.